How can you treat plantar fasciopathy? How can you return your plantar fasciopathy patients to activity and running? When can they run without aggravating their pain? 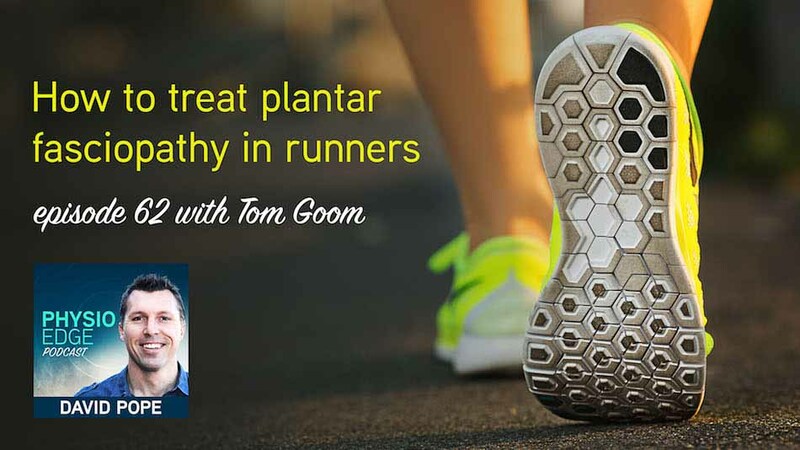 In episode 62 of the Physio Edge podcast, Tom Goom and David Pope help you discover exactly how you can get great treatment outcomes with plantar fasciopathy. How can you treat plantar fasciopathy (PF)? How can you help reduce plantar fascia pain during the "pain-dominant" phase? How can you improve load capacity during the "load-dominant" phase? When do your patients need relative rest? What cross training options are suitable for runners with PF? When and how can you incorporate strengthening into your treatment? What other impairments should you address in your treatment? When can your patients return to running? How long is the average recovery from PF? A PF case study with exercise progressions and return to running. Rathleff et al. 2014. High-load strength training improves outcome in patients with plantar fasciitis: A randomized controlled trial with 12-month follow-up.